48 Training Protocols are a Simple, Effective and Fun Exercise and Rehabilitative System. The SandDune is much more effective than standard exercise equipment such as Treadmills, Ellipticals, Stairclimbers, Rebounders, Bosu Balls, etc. We are using them in our classes and you can use it at home. People with Autism, MS, Parkinsons and Vertigo benefit because the SandDune offers gentle resistance which stimulates the neural pathways for better cognitive performance. We have only heard positive results from athletes, no matter their sport. Besides building strength and quicker reaction time, an even greater benefit is faster recovery after events and hard workouts! 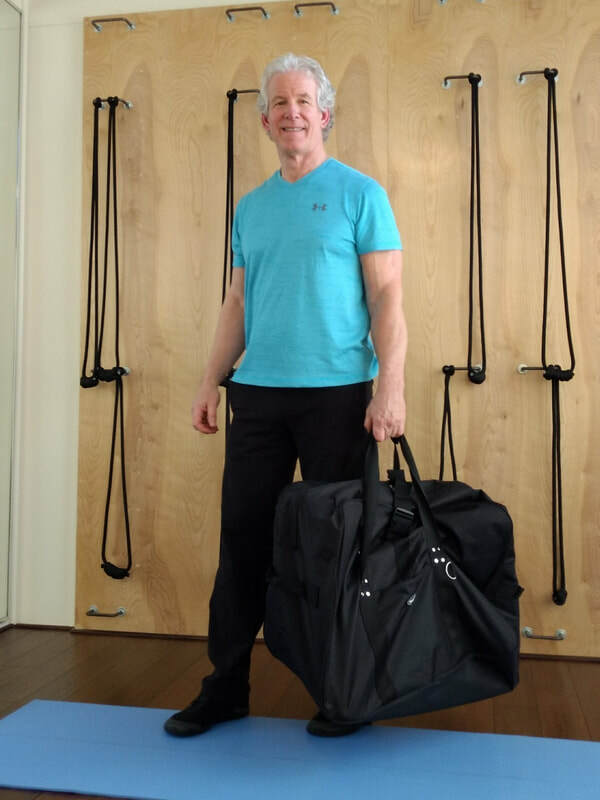 When purchasing your SandDune Stepper from us, you will also receive My Back and Body Clinic’s 48 Training Protocols for Beginner, Intermediate and Advanced training that provide safe progressions for all individuals. Just 1 of 48 exercises we do with the Dune! My Back and Body Clinic's website does not contain medical advice. The contents of this website, such as text, graphics, images and other material are intended for informational and educational purposes only and not for the purpose of rendering professional medical advice. The contents of this website are not intended to substitute for professional medical advice, diagnosis or treatment. Only your doctor or a qualified medical professional can provide you with recommendations for your ailment, treatment or problem. Nothing accessed should be or is to be interpreted as a specific or general recommendation for treatment plans, exercise regimen or course of action for an individual ailment. When beginning any diet or exercise program, it is important to consult your health care professional. Exercise according to your fitness level and capabilities. Individual results may vary. Consult your doctor and therapy team (if applicable) before beginning use on the SANDDUNE™ or with any new exercise program. Working with your doctor to create a personalized program is optimal. Perform these exercises at your own risk. Take all safety precautions for a safe workout with any exercise apparatus or program. Do not use the SANDDUNE™ if you have been drinking alcohol or are using medication that affect your balance. Have something to hold on to to assist with balance when beginning the SANDDUNE™ program.